It has been ringing in our ears for years – incessant voices of the data pundits, professionals and practitioners encouraging us to treat data as an asset. With the recent big hype around big data, the voices only grow louder and well, bigger. As someone with a peculiar enthusiasm for business data who has spent nearly 30 years helping organizations optimize the value of their information, I have been one of those voices. We think this asset-oriented thinking will encourage organizations to treat data better, wring more value from it and place a financial value on it. We have been mistaken and it’s time to change our tune. We do data a disservice when we encourage others to treat it like an asset – it is so very much more than that. If we think about assets in a business context we quickly realize that, in most organizations, data are already treated better than assets. If you work for a large medium to large-size organization, look at your work computer. Do you see an asset tag? You may also find asset tags on your monitor, the projector in the conference room, and even your chair and trashcans. While they may not have the same kind of tag, the building you work in (if owned by your employer), your warehouse and copyrights are also assets. So, how much do you think about these assets as you’re focused on being successful at work? Do you obsess about a crack in your trashcan, or the investment made in the building you work in? Do thoughts of intangible assets like copyrights occupy your workday? Even when we think about cash, which accountants classify as an asset, we think about it in a much more personal context. 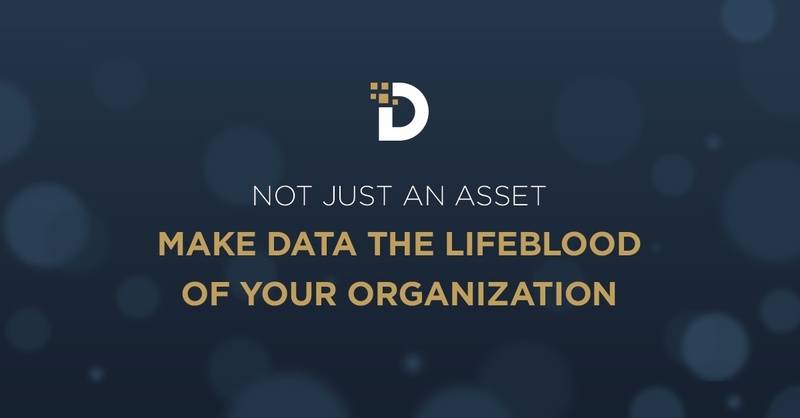 Whether tangible or intangible, assets are tended to in a well-run business, but usually by a small group of specialists and not by everyone in the organization who works with data. Not giving their boss an excuse to micromanage them (sharing just the right amount of data). In a high-performing enterprise, people may have a clearer view of business context and understand the upstream processes that produce data they rely on and the downstream processes that consume their data, but the emphasis is still on excelling in their functional area of responsibility as opposed to data as an enterprise asset. What about our encouragement to think about data as assets to promote financial valuation? A few decades ago there was a big push in finance and accounting to formalize and standardize the value of data and intellectual capital as distinct items in the financial statements of organizations. As you can see, it never really caught on. Often, Finance students are taught to determine if something is an asset by asking the question, “Is the [asset] something I own, and will it bring me benefits in the future?” While ownership is a whole other discussion, data certainly have the potential to bring benefits in the future, but accountants have had a difficult time translating that to a value in local currency. Even if they did, it could end up like other intangible assets such as goodwill and trademarks that are valued financially, but are the focus of only a few people in accounting and not the rest of the organization. So why do we keep beating the drum for, “treat data like an asset”? Data are much more than assets. Data are at least part of the inputs and outputs of every business process you have – your raw material and (at least interim) product. Data are essential for informed tactical and strategic business decisions. In short, data act as the lifeblood of the organization. The likening of data in an enterprise to blood in a body, while an imperfect (and you may say, gross) analogy, more effectively portrays the importance of data across the whole organization than does comparing it to an asset. It also reflects the inseparable nature of data from “the business”. The body functions better when the blood is healthy, but a healthy body also makes for healthier blood. It’s the same with a business and its data. There will be more on data as the lifeblood of organizations to come in a later post. Data does not have financial value as a distinct asset separate from the value of the organization. Data is tremendously valuable and can be even more valuable – please don’t treat it like an asset. It is so very much more than that.